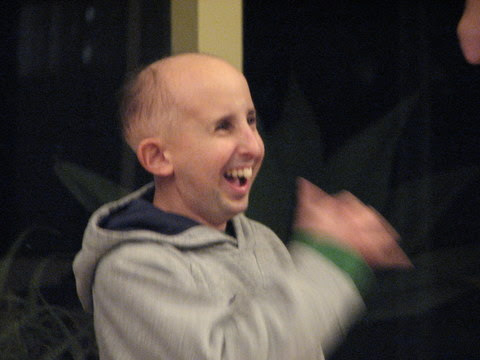 Ben Woolf died today from injuries he received when he was struck by a car three days ago. 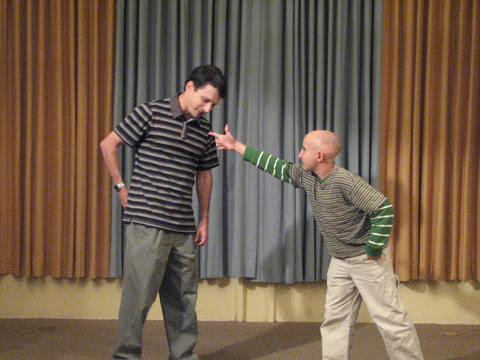 Ben was part of the workshop for many years, until he left to pursue an acting career in Hollywood. He was just starting to find success, having appeared for two years in the cast of the network television show American Horror Story. Online you'll find better descriptions of his career than I'd be able to write here. Instead I want to take a moment to remember him during his time here at SBIW. Ben started coming to the workshop sometime in 2005, and the earliest pictures I have posted in the blog show him working with the group in 2006. 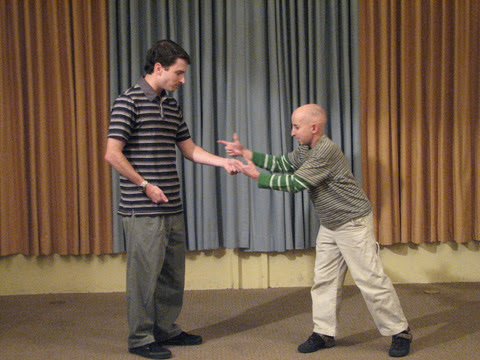 Ben was great fun, an enthusiastic improviser, and everyone liked working with him. I know I did. 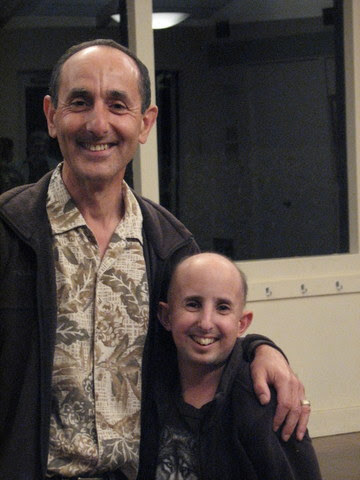 Ben worked with us for many years, as a student in the workshop and as a performer in our shows. Even after he moved south to pursue an acting career, Ben would come by the workshop from time to time. We all had a great time when he did. I've got far too many photos of Ben to post them all. I've just picked out a few from throughout the years. They aren't in any particular order or theme, just photos that I think captured Ben's whimsical humor, but also his range of performance. 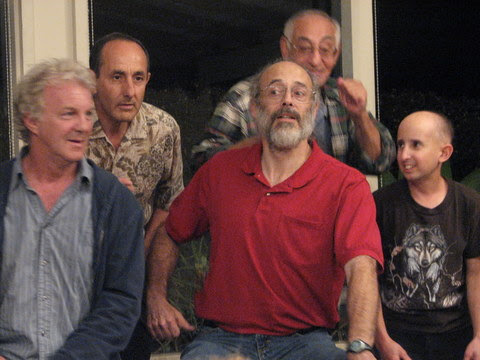 I saved these last photos because they are from a workshop when Ben's father Nick also attended. It was great fun seeing the two of them perform together. We'll miss you Ben. You touched me and everyone who knew you with your wit and charm. I'm glad you were able to reach as many people as you did with your success on screen, but you were taken way too early.